FC Barcelona Lassa have recorded another important victory, beating Software Lleida 6-4 away from home. The game began at a frenetic pace with Ricard Muñoz’s team taking the lead after just 10 seconds through Pablo Álvarez. Lleida searched for the equaliser in vain and on 6 minutes a strike from Argentine Matías Pascual doubled Barça Lassa’s lead. However, before half time the home side pulled things back level with goals from Cañellas and Tomàs. The excellent form of both keepers meant there were no more prior the game’s midpoint. In the second half Lleida took a surprise lead thanks to Dario Giménez but the excellent Pablo Álvarez leveled things with another goal. 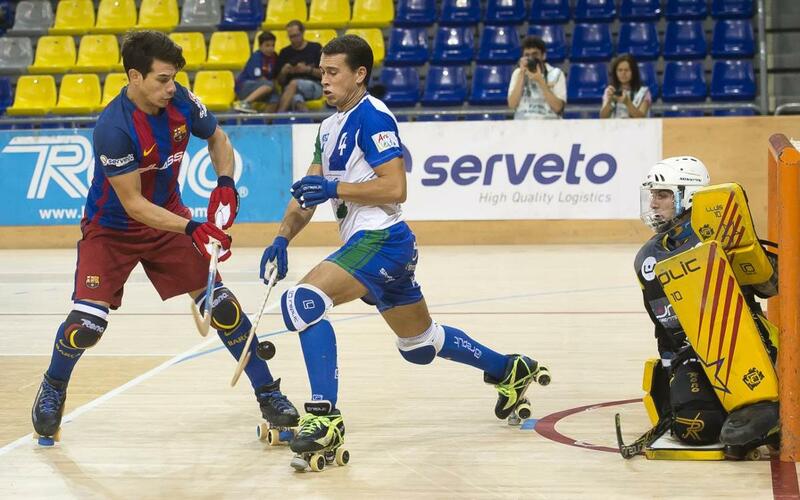 His hat-trick was not long in arriving and an effort from Pau Bargalló gave Barça a 5-3 lead. Lucas added another before a consolation effort from the home side made the final score 6-4 to the blaugranes. The win keeps Barça Lassa at the top of the table, ahead of their closest rivals Reus and Vic.